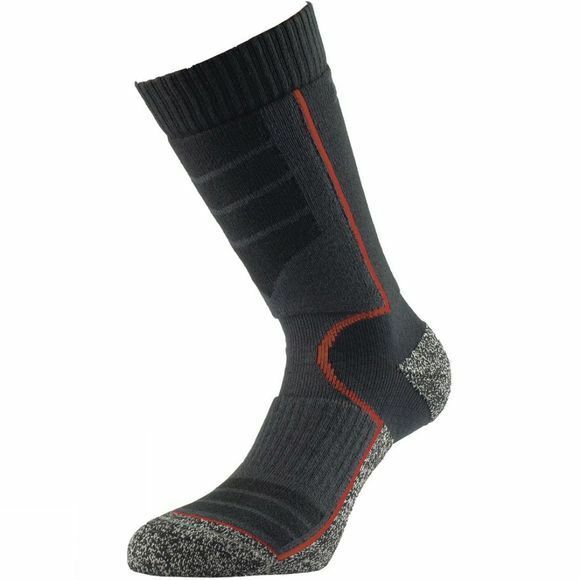 The Ultra Performance Walking Sock with Cupron from 1000 Mile features embedded copper fibre technology, proven to be effective against bacteria and fungus that can cause odour, thus offering active protection throughout the life of the sock. Additional features include padded comfort zones and arch bracing to hold the sock firmly in place. Cupron Enhanced yarns use embedded copper fibre technology which resists the growth or bacteria and fungi that causes odour and poor foot health. Independently tested to be non-toxic, non-sensitizing and non-irritating to skin makes it the perfect yarn for socks. Heel Power design grips the heel firmly in place so no slipping!